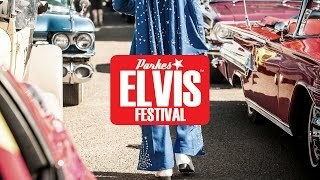 The iconic Parkes Elvis Festival is a celebration of the life and music of Elvis Presley held annually in Parkes, NSW, in the second week of January to coincide with the birthday of The King. From Wednesday to Sunday more than 150 events take place at venues in and around Parkes. The Festival attracts headline international and national Elvis tribute artists, and more than 26,500 national and international visitors to Central West NSW. Parkes Elvis Festival is proud to be officially endorsed by the estate of Elvis Presley, Elvis Presley Enterprises Inc.